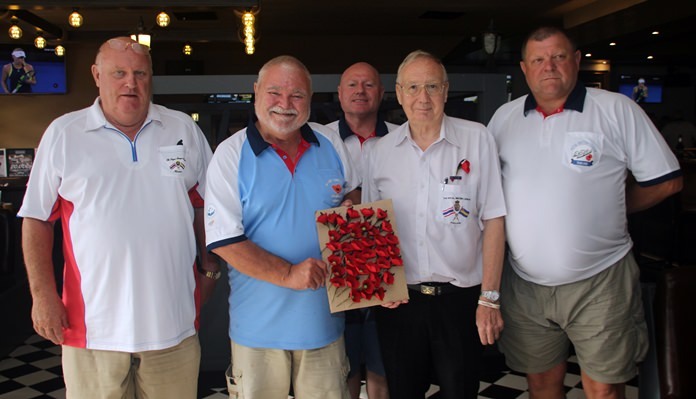 Andy Barraclough (2nd right) Chairman, Royal British Legion, Thailand, Chonburi Branch together with his champions of the ‘Poppy Appeal’. 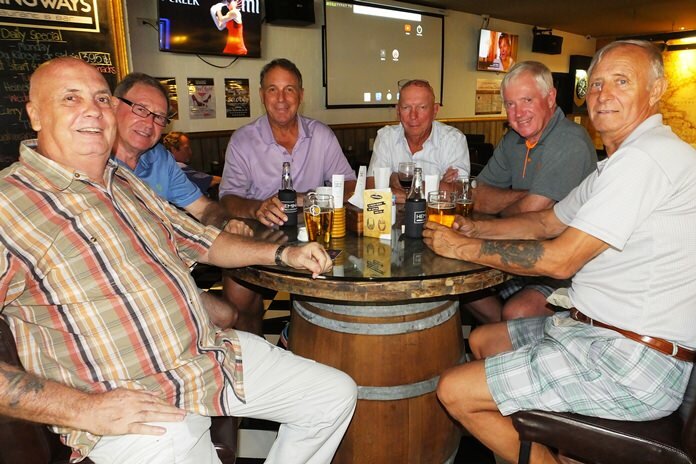 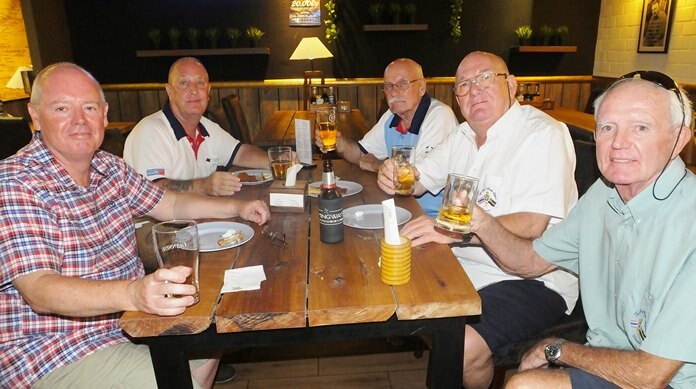 Hemingways, Jomtien played host to the first Royal British Legion, Chonburi Branch social event of the year on the 27th of January and what an event it was, with a very high turnout and plenty of new faces around. 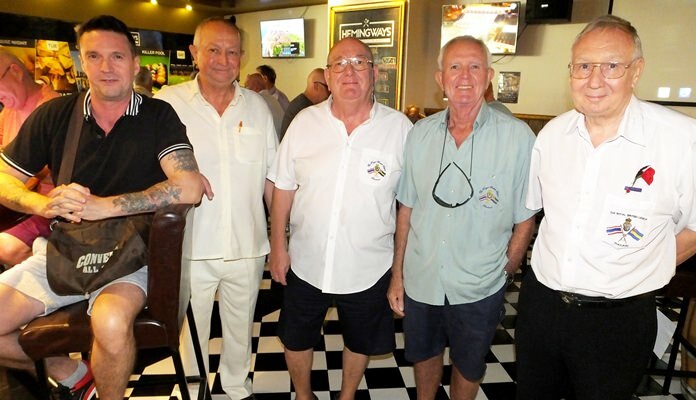 The Royal British Legion has approximately 200 members throughout Thailand with a high percentage of the Chonburi branch in attendance. 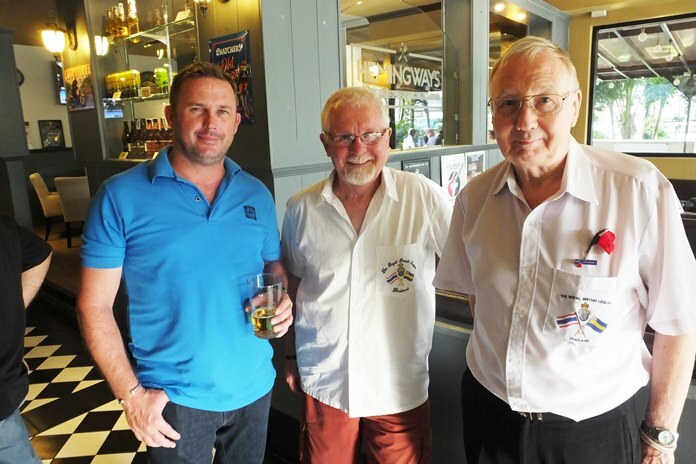 The new President Mark Bowling was there to meet and greet members, whilst branch Chairman Andy Barraclough and Secretary Micky Thomas were kept busy enrolling new members during what must have been a record turnout. 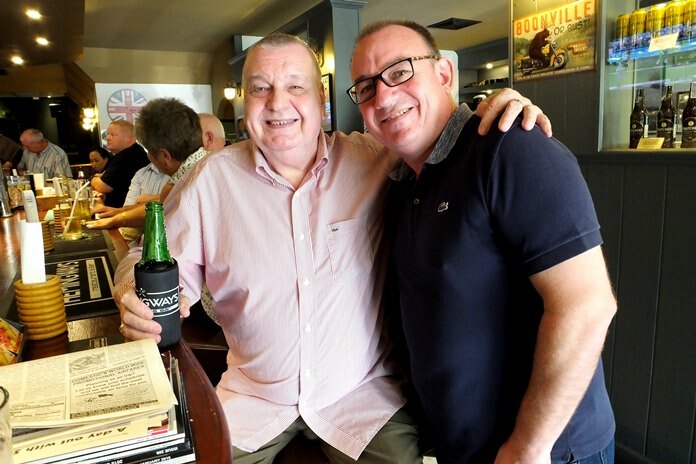 Hemingways was absolutely packed out as members both old and new chatted over some liquid refreshments and the kindly provided bar snacks. 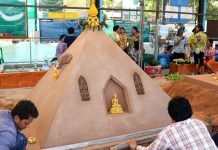 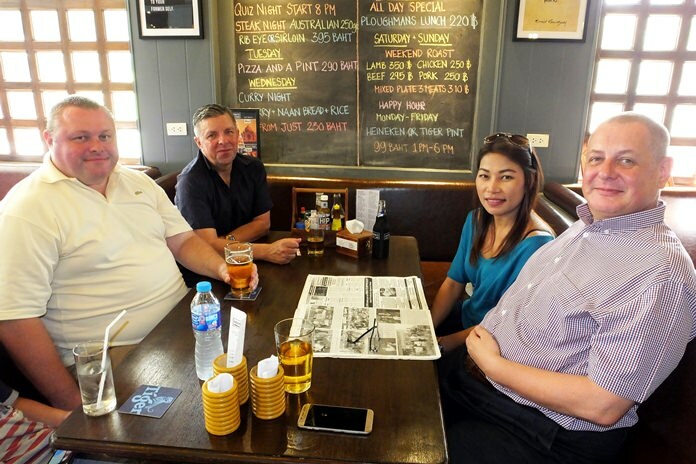 Such social events play a key role in fostering comradeship amongst our members and in networking and coordinating all our activities in Thailand, as we visit establishments that have supported us throughout the year. 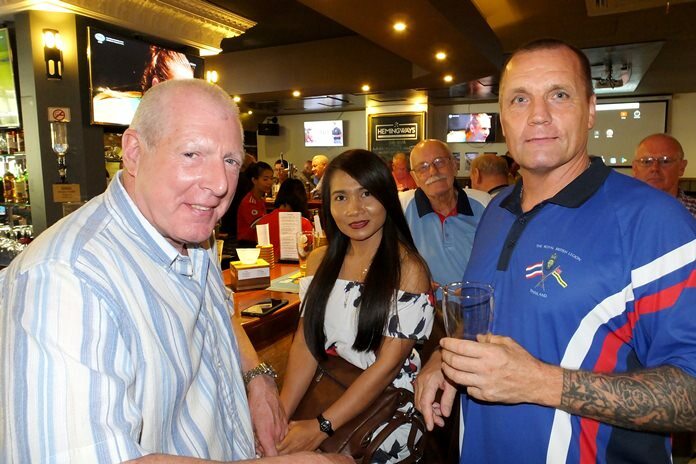 “The Royal British Legion in Thailand is actively recruiting, we need to attract more members and they don’t necessarily need to come from an ex-services background. 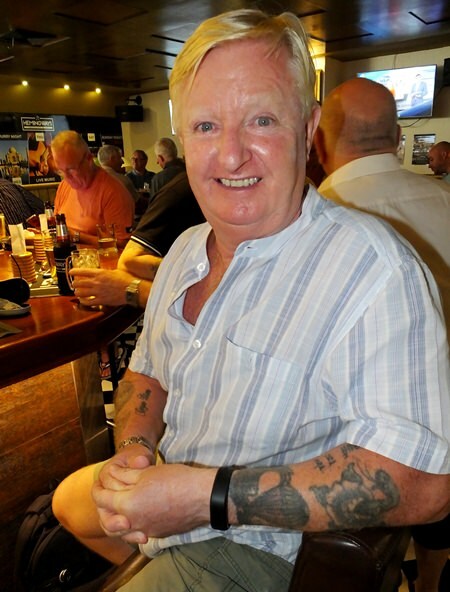 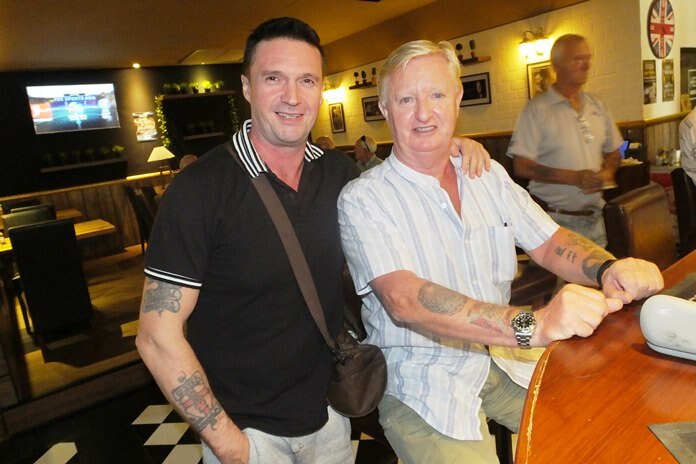 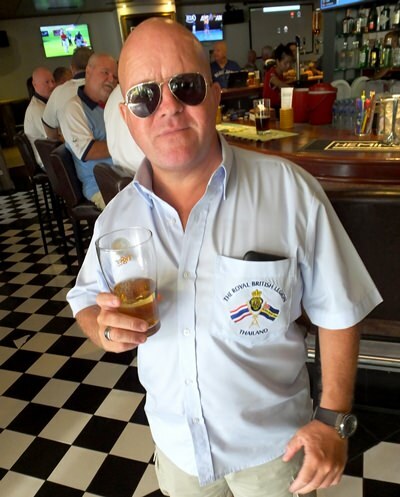 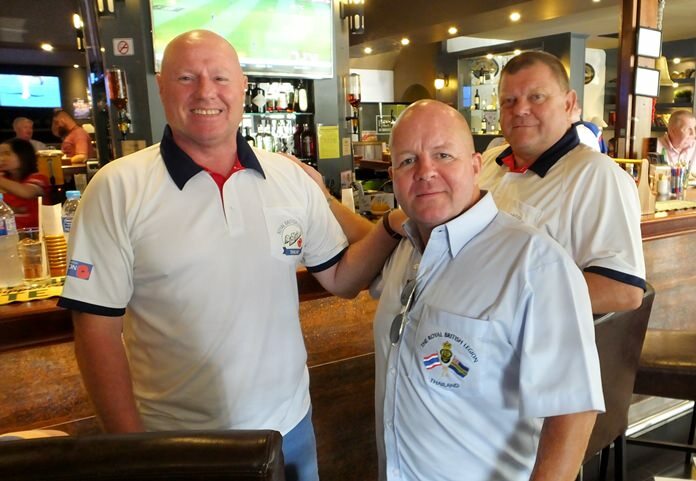 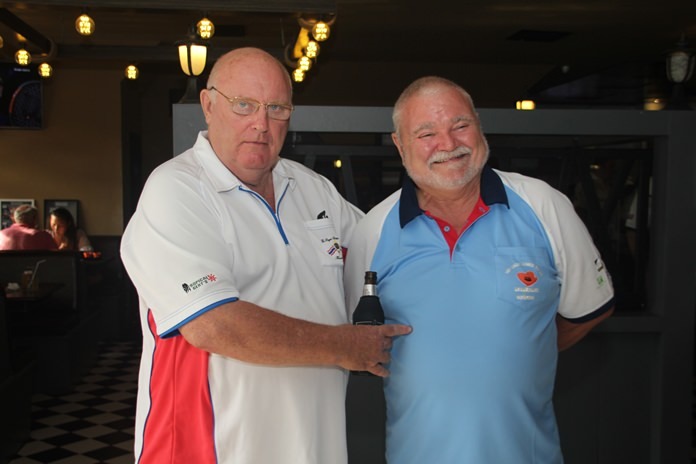 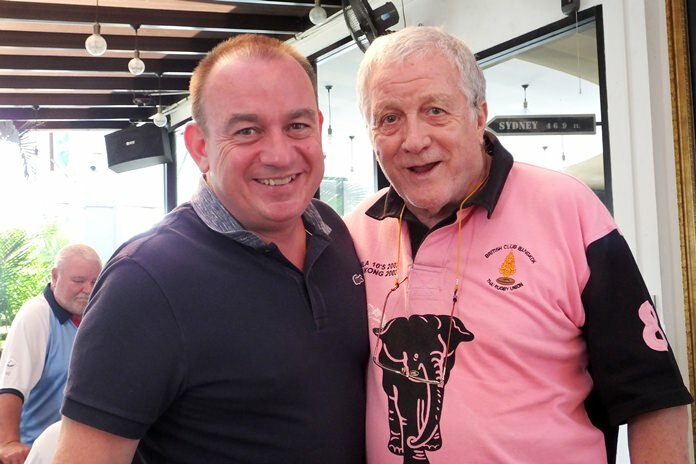 Anyone with a keen interest to support the British Armed Forces community and indeed the Thai Veterans Organisation is welcome,” said Bowling. 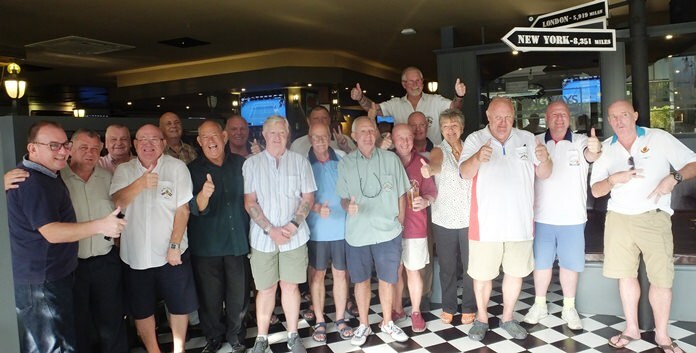 President Mark Bowling (left) leads the legion members in a thumbs-up pose for posterity. 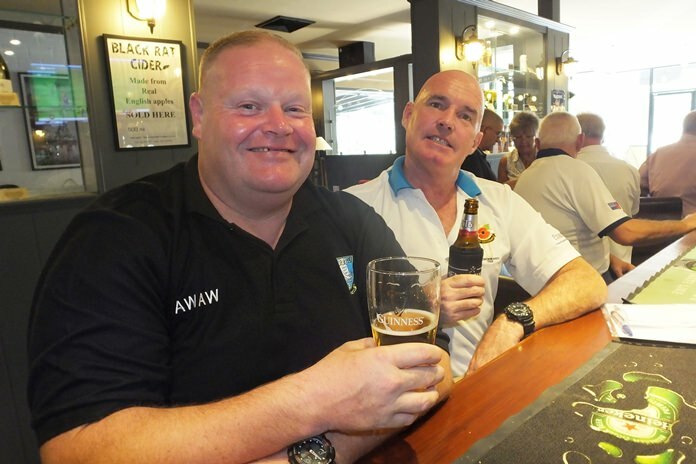 Membership is very well priced at just THB 1,000 per annum and all proceeds go to the Royal British Legion. 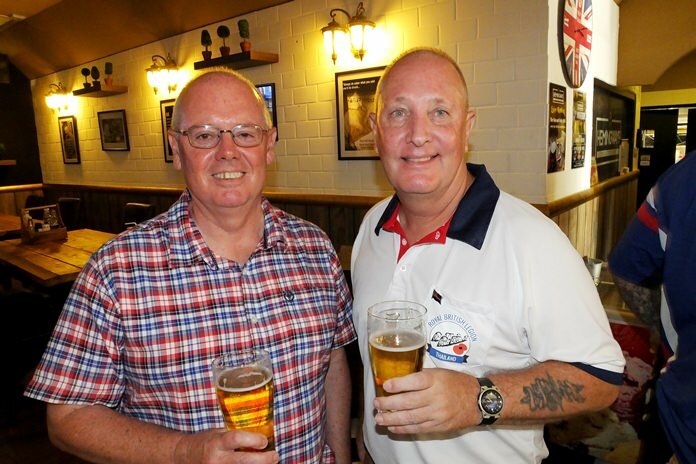 You can either join on-line by visiting www.britishlegion.org.uk or come along and meet us at the next social event and quarterly meeting which is to be held at [email protected] Bar, Siam Country Club Road from 2.00pm on the 24th February with a toast to absent friends at 5.00pm. 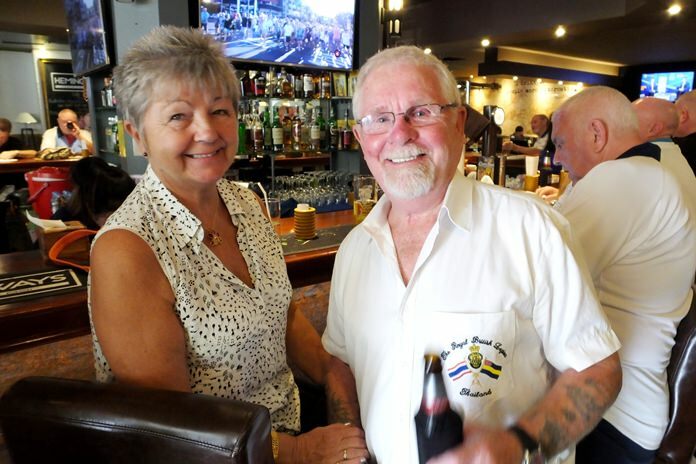 The social evening saw a big turnout of old and new members of The Royal British Legion.